THE SOCIAL STAIR IN THE CENTRE OF THE "GALLERY". 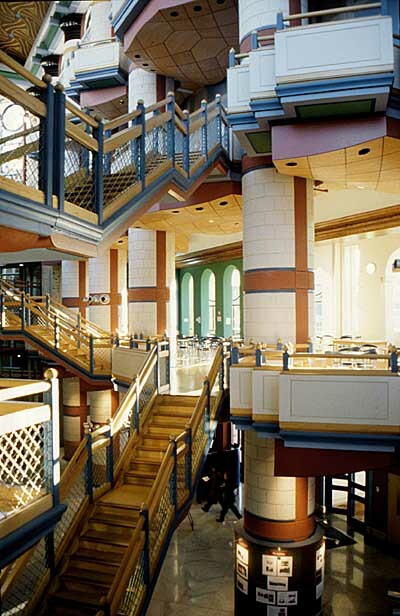 The "Gallery" is the central building of the three buildings that constitute the 'building-cluster' that is the Judge Institute. IThe Judge Institute of Management Studies for Cambridge University, england..